If It's Worth Being Done, It's Worth Being DONE RIGHT! With 25+ years of experience, Tampa’s premier flooring company focuses on quality flooring products & premium professional installation. Our installers have been carefully chosen and offer years of experience. We require all of our flooring installers to be fully versed in all industry standards, Done Right Certified, & receive continuing education throughout the year. By offering high-quality products and certified installations, it allows us to provide an unparalleled 5-year warranty on flooring installations while our competitors offer a maximum of a one-year warranty. 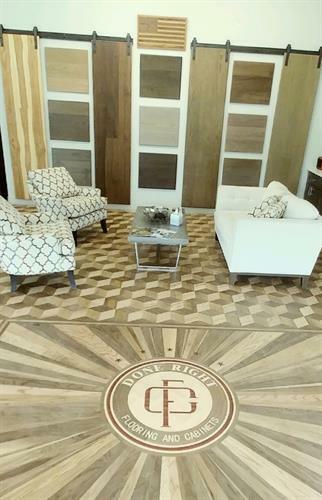 At Done Right, we pride ourselves on providing the best quality flooring products while maintaining the highest level of customer service standards. We consult with our customers to find the best products to fit their lifestyle and their budget. Jason Cantin, President of Done Right FC, wanted to create a company that not only had high expectations of its products and customer service but improved the industry as a whole.